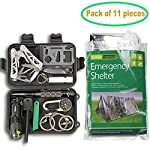 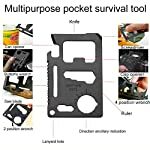 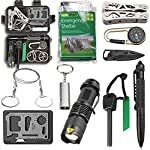 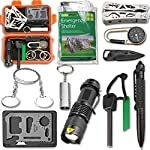 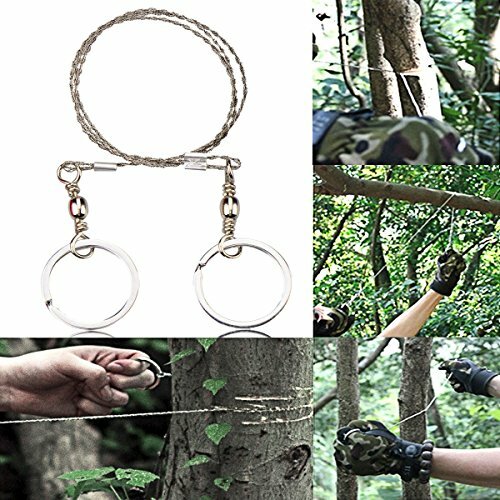 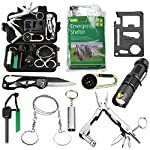 [9 in 1 Waterproof Case]: Stainless Steel Versatile Tool Card, Fire Starter, Compass, Wire Saw, Flashlight, Emergency Whistle, Multifunctional Pliers and Tungsten Steel Pen. 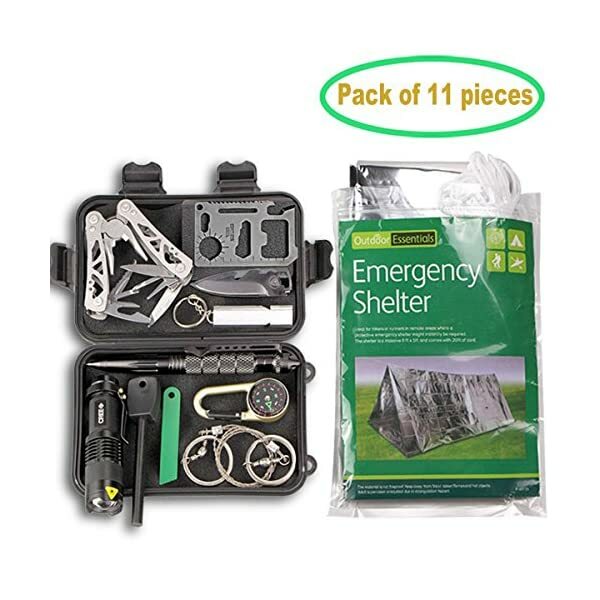 Also with an Emergency Survival Shelter Tent. One case can meet your different needs. 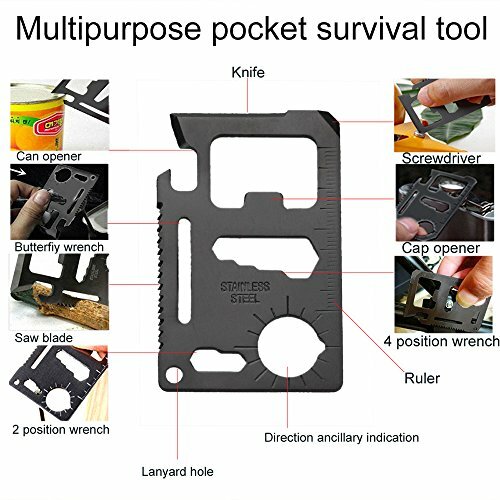 [Multi-funcion Tool]: The steel tool card is a multi-tool, including 11 different tools. 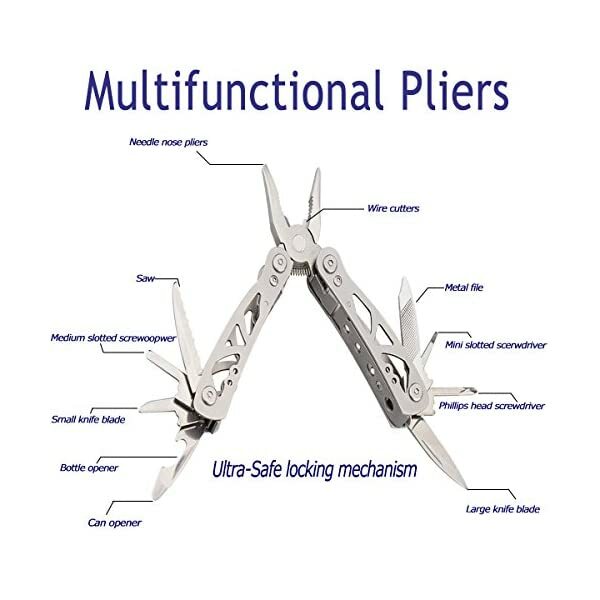 Multifunction Pliers includes 9 daily home furnishing repair tools. 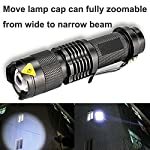 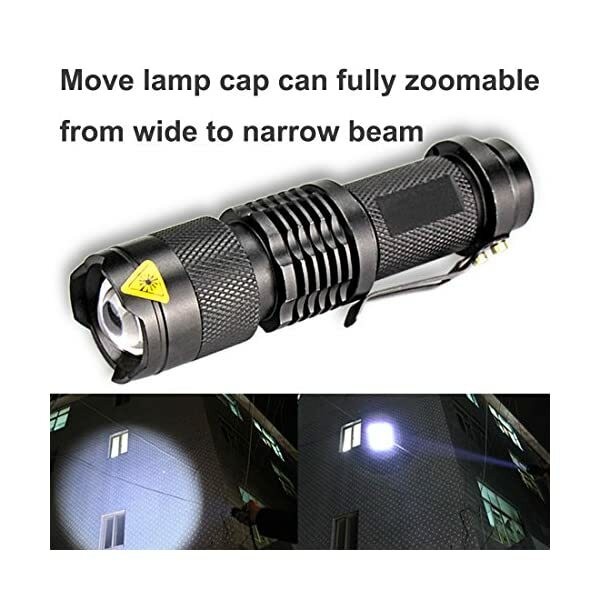 The flashlight has High / Low / Strobe Light Modes (1 AA battery not included). 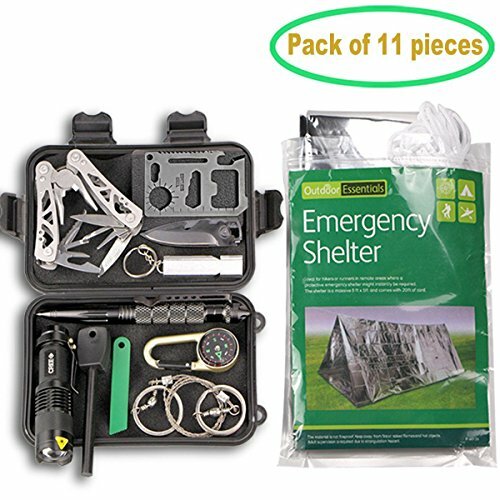 Each one in the case is very practical and durable. 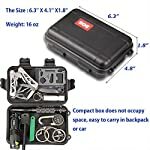 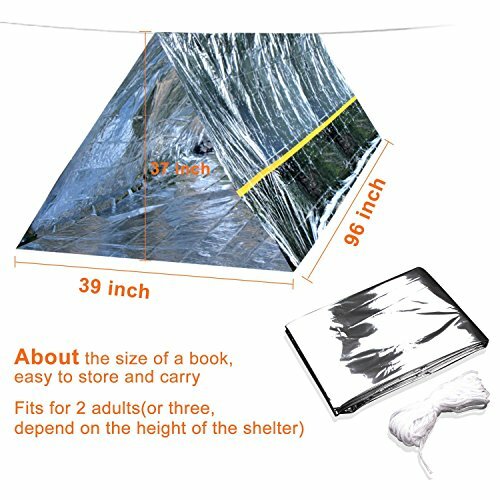 [Potable & Lightweight]: The Size of the box is 6.3” X 4.1” X1.8”, The weight is 16 oz, very convenient to carry, can be placed in a backpack or car. 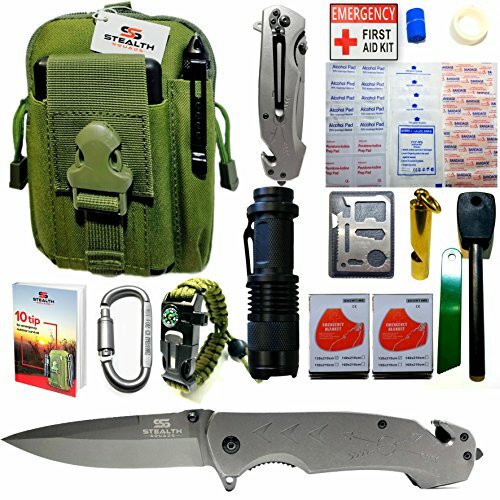 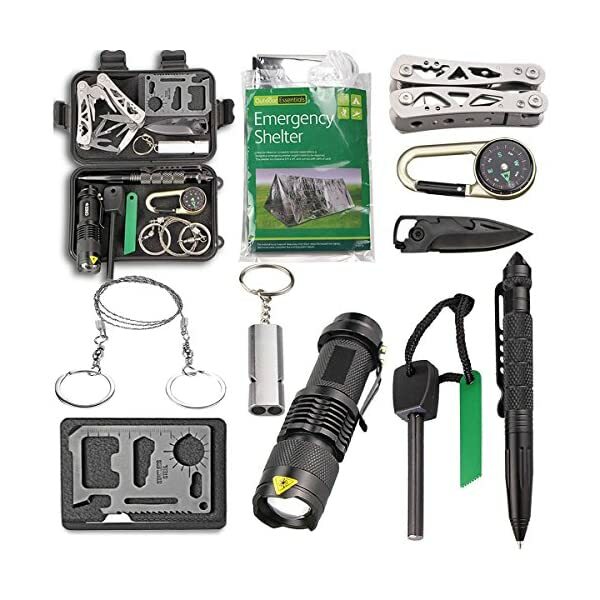 This EMDMAK survival kit includes 11 different components. 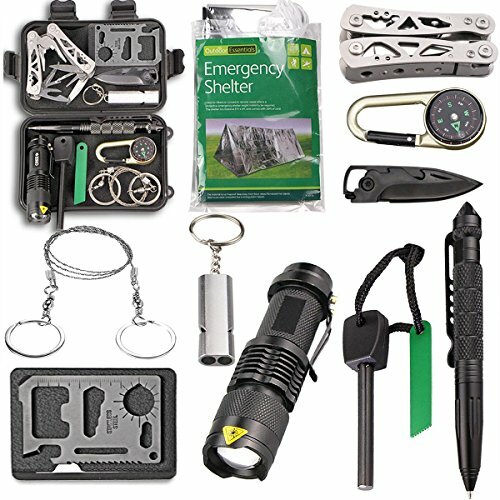 Each item in the cover is well made of high-quality material, very practical and durable. 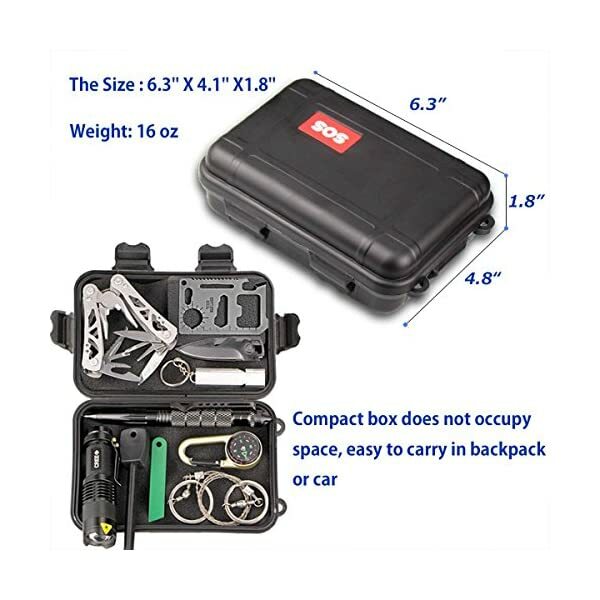 Easy to storage and carry. 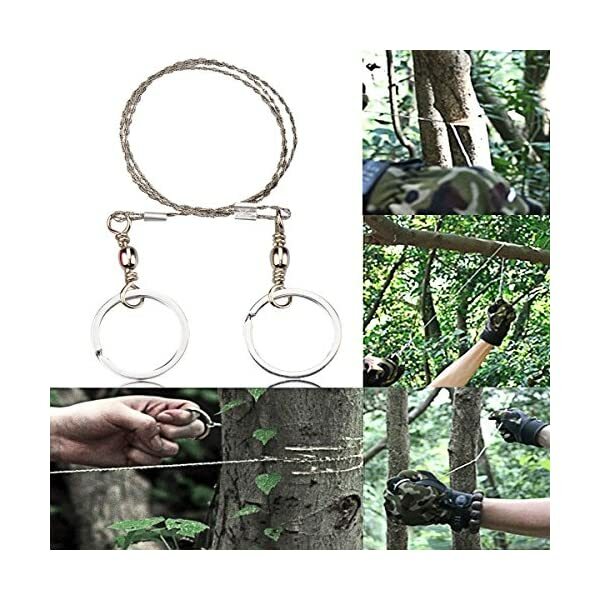 It’s a must have for any outdoor enthusiasts. 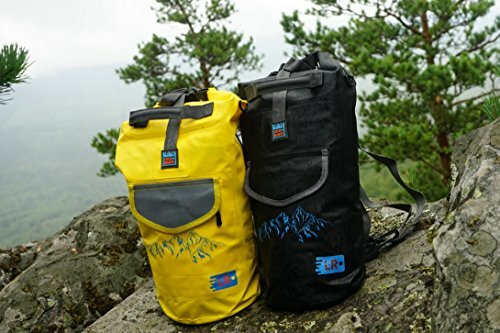 It’s also a great gift for our friends who love outdoor enthusiasts. 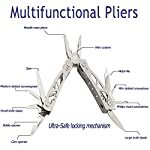 ☞ Tungsten steel pen can be used as a pen, its sharp head can be used in multi situations. 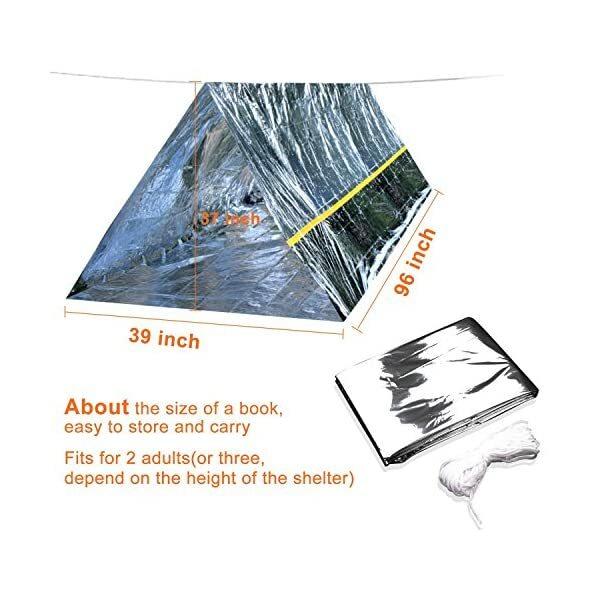 ☞ Emergency Survival Shelter is a massive 8 ft x 5ft and comes with 20 ft of cord. 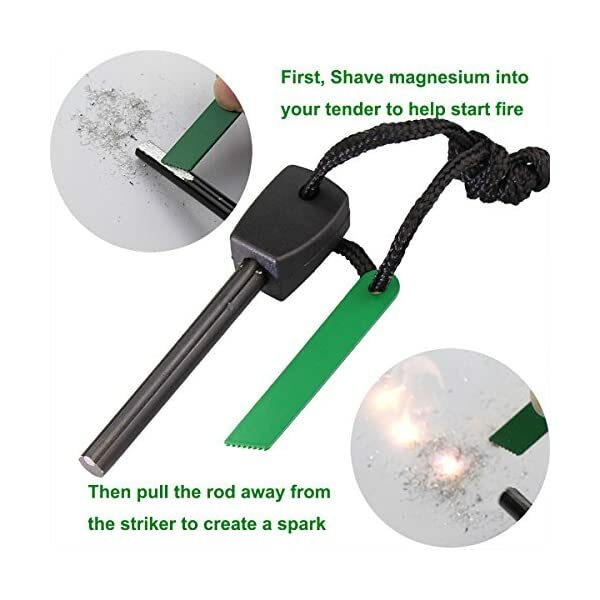 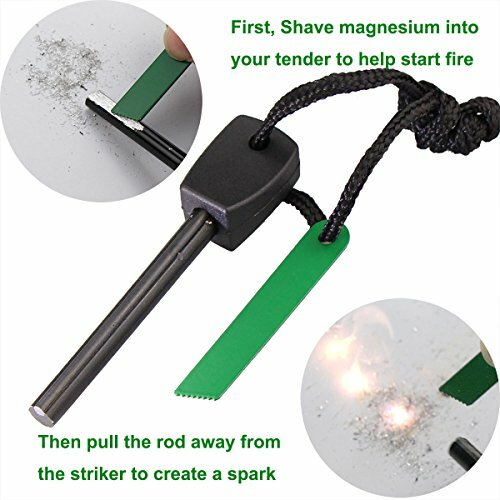 ☞ Fire Starter: simply draw the strike rod down the block to create sparks to light your kindling. 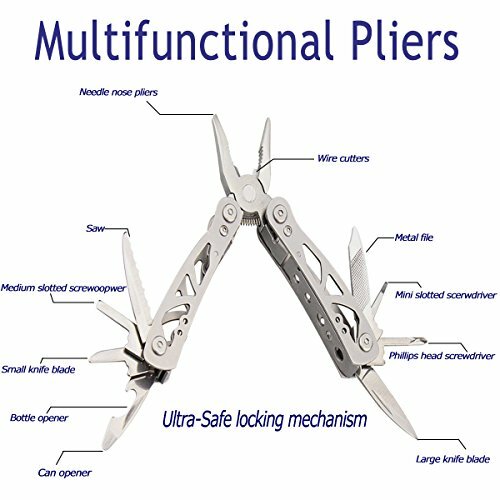 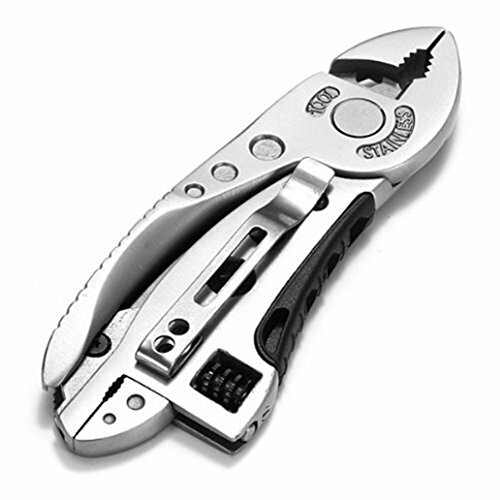 ☞ Multifunction pliers: Needle nose pliers, wire cutters, knife, saw, cross and slot screwdrivers, bottle opener and a storage bag. 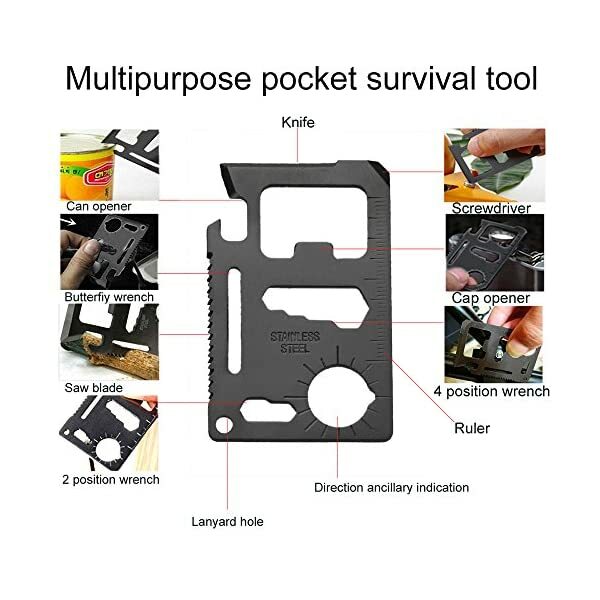 ☞ Premium Case: Very good looking. 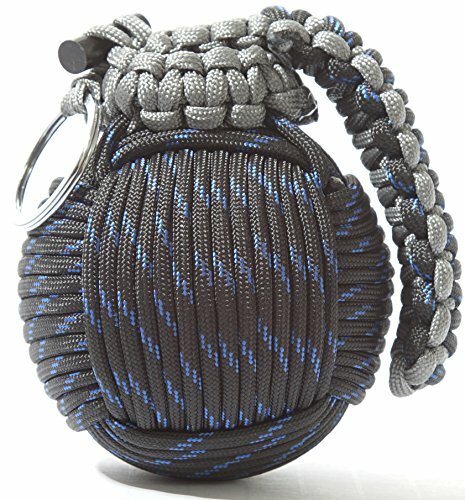 Well made, waterproof, shock resistant, resistance to fall.